Lots of us like to listen to audiobooks, and lots of us buy ebooks across a variety of services and devices. If you own an iPad, for instance, you might download audio books from iTunes or iBooks from that particular app, and then read right on your iPad. If you want to listen to iBooks, or have a visual impairment that makes it tough to see the text on the iPad screen, you can turn on VoiceOver and have the iBook read to you. What about the Mac, you might ask? 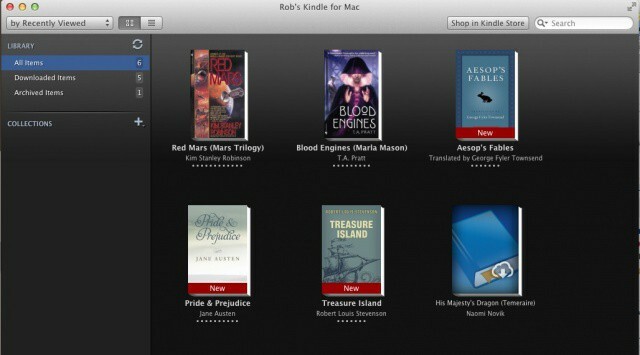 Can’t you just turn on VoiceOver on the Mac and have it read ebooks to you? Not if you use an e-Reader software like Kindle or Nook, you can’t. There is a way to get your Mac to read Kindle books to you, out loud, with its built-in text to speech software, but it’s not as intuitive as you might think. Here’s how. First up, know right off that this trick won’t work with the Nook for Mac app, sadly. This bums me out on a personal level, since I like the Barnes and Noble e-reading devices better than Amazon’s competing products, but that’s really here nor there for this discussion. If you have a Kindle account, then, you can download the Kindle app from the web here. Download it, mount the .dmg image file, and drag the Kindle app to your Applications folder. Double click on the Kindle app, and login with your Amazon log in credentials. Now comes the fun part. Open up a book from your Amazon account and find a page you want your Mac to read. Click and drag across the text you want read aloud, and then hit Option-Esc. Your Mac will start to read in the voice selected in the System Preferences. To change the voice (I prefer Alex from the built in options), open System Preferences, and then go to the Speech icon. Click it, and then click on the Text to Speech options. Choose the System Voice in the drop down there. You can speed it up or down with the slider below. Make sure “Speak selected text when the key is pressed” or none of this will work. It’s too bad that this built-in text to speech is limited to the Kindle app, but it will also work in any web page, Preview, and the like, so you’ll likely get more mileage out of it overall. There are a couple of apps out there that apparently let you do similar things, but we haven’t had a chance to try them out, yet. Stay tuned.